Ramsay Macdonald was not happy. Labour’s decision in January 1917 to remain in Lloyd George’s new coalition was unacceptable. For Macdonald, this was no government of national unity. Asquith’s retreat into opposition with the majority of the Liberals, meant Labour was now in alliance with a Tory government, with Lloyd George nothing more than a figleaf leader. Macdonald would have never allowed something like that to happen to the Labour party on his watch. Oh no. For their part, the Tories weren’t mad keen on Ramsay Macdonald and his various anti-war groups either. The fall of the Russian Tsar in March 1917 had stoked Tory fears of the lower orders getting uppity, while a major bout of industrial unrest in May convinced many that a revolution was coming. In their view, Macdonald was the archetypal leader of the malcontented masses. Celtic, working class, and not even a member of a golf club, for goodness sake. Admittedly, this last point wasn’t entirely his fault, since his local club had expelled him on account of of his opposition to the war. Then again, to lose a golf ball might be considered unlucky, but to lose a whole club looks like carelessness. Further anti-Macdonald feeling was stirred by Lord Milner, a Tory member of Lloyd George’s inner cabinet who had valuable experience of war, having helped start one in South Africa while he was high commissioner. He claimed to have information that the Independent Labour party and Union of Democratic Control (UDC) were fomenting strikes to provoke a revolution. And who just happened to have a leading role in both organisations? Why it was that sinister Mr Macdonald. It didn’t stop there. 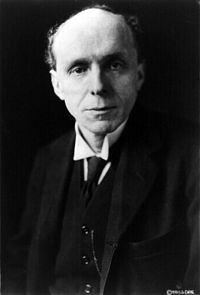 Lord Robert Cecil advised the cabinet that Macdonald’s United Socialist Council had organised a June conference in Leeds. Cecil confidently asserted that this was going to be the starting point for a British revolution. It wasn’t. But if the Tories were to be believed, Ramsay Macdonald was clearly Britain’s own Vladimir Ilyich Lenin. And while all this was being discussed, there at the cabinet table, shifting uncomfortably in his seat was Arthur Henderson, Labour leader and colleague of that same Ramsay Macdonald. Meanwhile, the fate of Russia was casting a growing shadow over British politics. Even the military were keenly interested in developments. Specifically, they were nervous that the new Russian government might give up on fighting the war for such trivial politically expedient reasons as it was what the Russian people wanted. This would potentially release hundreds of thousands of German troops from the eastern front to join their comrades in the west, where they could experience many of the same horrors but without the need to wear a scarf. These additional troops would likely have catastrophic consequences for the allies. Concerned, various groups decided to send delegations to Russia to see what was going on for themselves, rather than just relying on extremely slow tweets, or telegrams as they were known then. On the left, Ramsay Macdonald planned to lead a trio from the United Socialist Council in mid-June. Normally the government wouldn’t have given them passports, but Ramsay Macdonald’s opposition to Russia negotiating a separate peace with Germany (he favoured some form of international socialist love-in where class solidarity somehow ended the war) persuaded even the Tories that his trip might be of some use. Macdonald and his colleagues packed their long johns, furry hats and copies of Marxism for Dummies and prepared to head east. Unfortunately, while the Tories had been persuaded, Havelock Wilson, the leader of the Sailors and Firemen’s union leader (later to incorporate all the Village People professions) had not. Wilson was very, very pro-war. He was keen on total victory over the Germans, possibly because they kept torpedoing his members. His union simply refused to take Macdonald on board, leaving him stuck in Britain – trapped by the very union men he’d been so reliant on when leading the party. Next, the government decided to send someone to report on the situation in Russia. And who better than their resident leftie, or at least the closest thing they had, Arthur Henderson. Although Henderson had been formally invited by the Russians in his capacity as a senior Labour politician, the cabinet were still eager for on some warm words to be whispered in the Russian ear to stop them unilaterally pulling out of the war. Unlike Macdonald, Henderson actually made it to mother Russia. But then something strange and unexpected happened. Instead of just dutifully giving the British line and hurrying home, Arthur Henderson looked and listened and then changed his mind. Spending July in Russia made it clear to Henderson that the Russians weren’t in any condition to keep fighting. Britain’s hope that they might continue the war seemed impossible to the Labour leader. Another way had to be found. Fortunately, another way presented itself, in the form of the Socialist International, which was planning a conference in Stockholm. This was intended to agree a workers’ peace that could be taken home to the socialists’ various countries and foisted on to their governments. This would obviously result in a new era of peace, harmony and rainbows and everyone could go home to a socialist utopia. All this was very much in line with Ramsay Macdonald’s vision of an international love-in, and now offered Henderson an alternate way to end the war. Back home on the government benches, Henderson’s shifting views were not going down well. Lloyd George sniped that Henderson seemed to have caught “revolutionary malaria,” which, much like “rockin’ pneumonia” and “Saturday night fever” had no known cure. But nothing was going to deflect him now. This quiet and officious man had sprung to political life. Barely had he returned to Britain, than he was off again. This time to Paris, with Labour party colleagues and a couple of new chums from the Petrograd Soviet to plan the running order of the Stockholm conference. Suspicion in the cabinet turned to anger. They could smell victory in the war (it smelt a lot like more dead soldiers) and were furiously opposed to the Stockholm conference. On August 1, 1917 on Henderson’s return from France, he decided to pop in for a chat with the other chaps in cabinet. Not so fast, Mr Henderson. He was prevented from entering the cabinet room and kept waiting outside. Inside, the rest of the cabinet discussed how outraged they were that Henderson had gone to Paris, that he wanted to go to Stockholm and that he was hanging out with that dreadful peacenik Ramsay Macdonald. The doormat incident, as it came to be known (because he had to wait on the doormat, if you want to be charitable), left Henderson waiting for over an hour and marked a turning point for Labour, not that it was obvious at the time. Ten days later, on August 10 1917, another special Labour conference came together. They voted 1,846,000 to 550,000 to go to Sweden, if only to find out if what they said about Swedish girls was true. Unaware of the doormat incident, they had no idea they were effectively voting on Henderson’s future in cabinet, and Labour’s in government. Because it meant he would be directly opposing the wishes of cabinet, the vote meant Henderson resigned on 11th August 1917 – if treating him like a travelling brush salesman at the door hadn’t made him want to already. On the face of it, little changed as a result. George Barnes had been covering for Henderson in his absence and was now elevated to take his place on a permanent basis. But in reality, everything was different. Labour’s most high profile pro-war leader had switched camps. 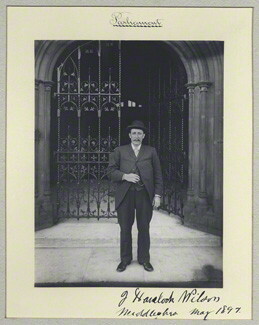 The political centre of the party had shifted and Ramsay Macdonald’s anti-war group were no longer an isolated faction headed out of the Labour party. Although unacknowledged at the time, this was a turning point for Labour in the war. 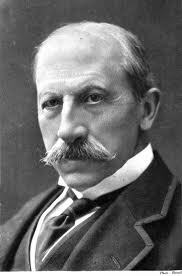 By alienating Henderson and effectively driving him out of the government over Stockholm, Lloyd George and the cabinet had accidentally re-united the Labour party. In the end, the government refused the party delegates passports to attend the Stockholm conference anyway. This entry was posted on Tuesday, February 12th, 2013 at 5:49 pm	and is filed under Uncut. You can follow any responses to this entry through the RSS 2.0 feed.You can skip to the end and leave a response. Pinging is currently not allowed. Havelock Wilson was a strange character and whilst a Trade Union leader was no friend of Labour or the socialist movement. I attach a short essay on him from our local Teesside Labour History / left politics blog ‘The Peoples Republic of Teesside on him (he was for some time a MP for Middlesbrough) and which may be of interest to those of us interested in our history. Interesting stuff David, thank you. Looking forward to the instalment on the First Labour Govt and its downfall with that forged and planted Zinoviev Letter. Hope new light can be cast on that disgraceful incident. The Press are still usng those dirty tactics against the democratic Left even to this day. Whs, other people who have not enjoyed these pieces have used the comments to provide an additional or alternative viewpoint. I’m sure yours would be welcome too. I’ve certainly enjoyed reading what others have to say about these periods. Labour history uncut: It’s war!